We are coming to the time of year when we will be entertaining more and cheering our favorite football teams to victory. If your house is anything like mine, there will be quantities of beer and soda quaffed to slake our thirst from all the lively conversation and cheering. This usually results in a plethora of aluminum cans left over from the revelries. I have been saving the pull tabs from the beverage cans for several years now. They are an easy, no-cost way to help offset operating expenses for the Ronald McDonald House. Our local library also collects them as a way of fund-raising for service dog training. 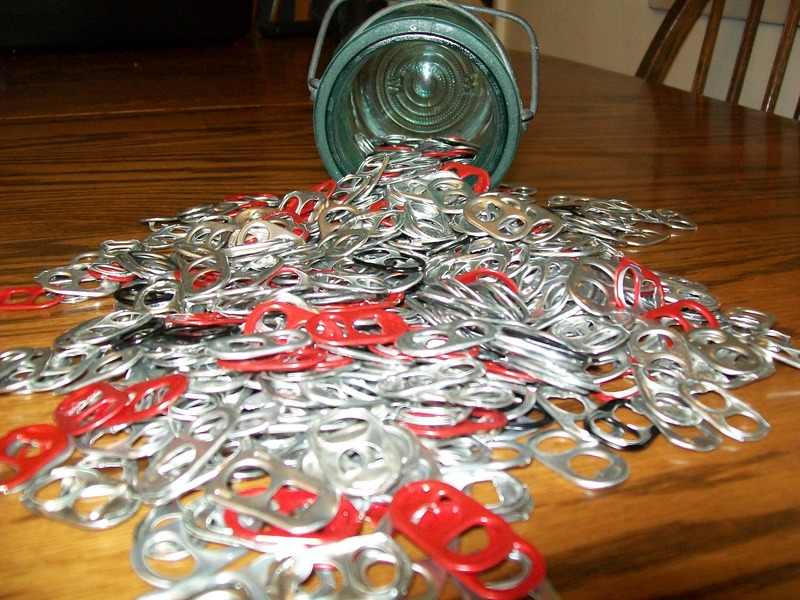 I keep a jar by the kitchen sink, and when I rinse the cans out for recycling, I pop the tab and drop it in the jar. When my jar is full, I drop it off at my library. This has been a quick, easy and free way to help. Students, families, scout troops or civic organizations can collect coins for donation. Just contact your local Ronald McDonald House. Our local Ronald McDonald House here in Central Pennsylvania also takes donations of magazines and glossy catalogs for recycling. They can be deposited in the special green bins throughout the area. To check for their locations, go to www.rmhc.centralpa.org. That’s all for now. I hope this post finds you healthy and happy.